What Makes Cosmetic Dentistry in Ft. Lauderdale So Special? Perhaps you have been thinking about having some cosmetic dentistry done now that you know that this isn’t just something that is available only to the rich or famous. In fact, when it comes to going to the dentist now who specializes in this service, it is something that a lot of people look forward to because they now have a chance to get that perfect smile that most everyone wants. This is one of the most common services that most of us want. We really do feel proud when we can produce that white bright smile. While you certainly can achieve that through our cosmetic dental services you still need to be realistic. While teeth whitening is going to go a long way in improving your smile it won’t camouflage teeth imperfections like a crooked or chipped tooth. As your cosmetic dentist we will give you advice as to what other types of cosmetic procedures could be implemented for your specific dental problem , and it shouldn’t be taken as a sales pitch. 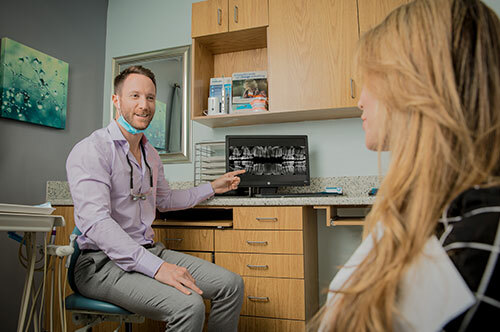 We as cosmetic dentists in Ft. Lauderdale believe you should be fully informed as to what is needed to get your teeth to the perfect condition that you want so badly. You may have teeth imperfections that you thought that you were going to be stuck with for the rest of your life. Just imagine how pleased you would be if we could tell you about dental enhancements that we can perform that will rectify this. It isn’t just minor flaws either that we are able to correct. If you have been feeling self-conscious about gaps in your teeth then you are really in for a pleasant surprise, as soon as you take that first step to make us your Ft. Lauderdale cosmetic dentist. You may very well discover that by an application of porcelain veneers that problem is solved. Hopefully you are not one of those individuals that are so distraught over the condition of your teeth that you just feel they are beyond repair. You have just resigned yourself to the fact that there is nothing else that you can do except look towards the day when you will simply have to have them all removed and end up with dentures. If this is the way you have been thinking, then before you think this way for one day, why not call 954-463-7262. This is the number for JJ Dental right here in Ft. Lauderdale. As soon as you make the call you can look forward to meeting with the best cosmetic dentists in Ft. Lauderdale. We believe that we are special because we make you feel that way. We treat your cosmetic dentistry need as unique and your well-being and appearance is important to us. When you look good you will feel good, and that in turn makes us feel good about what we do. We are NOT going to treat your dental concerns as just a common problem that many people have and that it’s just something you have to put up with. Listen, we know that you may still be feeling that your teeth are beyond repair, and in fact you may have been told that by another Professional. Take a look at our smile gallery and it may encourage you to let us make the decision as to just how we can help with the right cosmetic dentistry choice. Here’s the number again 954-463-7262. We really do look forward to hearing from you.